William Morrow & Company, 9780061688393, 309pp. Glamour magazine called Come Back, the first nonfiction collaboration by Claire and Mia Fontaine, the "best mother-daughter memoir," while the New York Times Book Review praised it as, "a testament to the power of the love." 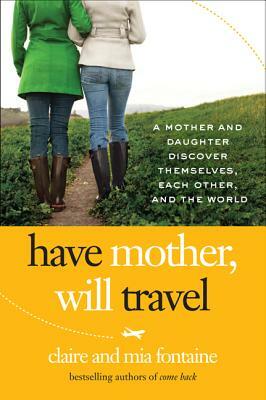 The Fontaines are back with Have Mother, Will Travel, a beautiful, thoughtful, insightful, inspiring book that brilliantly captures the changing relationship between a mother and her adult daughter. Seen within the context of an unforgettable round-the-world adventure, the emotional milestones reached and the new understandings and appreciations achieved will warm the heart and nourish the soul--an extraordinary journey that should not be missed by armchair travelers and by mothers and daughters everywhere. -Leah Komaiko, author of Am I Old Yet?